Mental distress, anxiety and depression can increase risk of stroke and heart attack in adults over 45 years according to a recent study conducted at the University of Edinburgh in Edinburgh, Scotland. The findings of the study appear inCirculation: Cardiovascular Quality and Outcomes, a journal of the American Heart Association. The New South Wales 45 and Up Study included 221,677 previously healthy volunteers from Australia who had not suffered from stroke or heart attack at the start of the study. Participants were aged 45 years and above, enlisted over a four year period from 2006 to 2009. "How often do you feel tired without any cause?" "How often do you feel so low and depressed and nothing makes you cheerful?" "How often do you feel fidgety or restless?" Out of the 102,039 men (average age 62 years) and 119,638 women (average age 60 years) volunteers, 16.2 percent reported feeling moderate mental distress and 7.3 percent reported high to very high levels of mental distress. 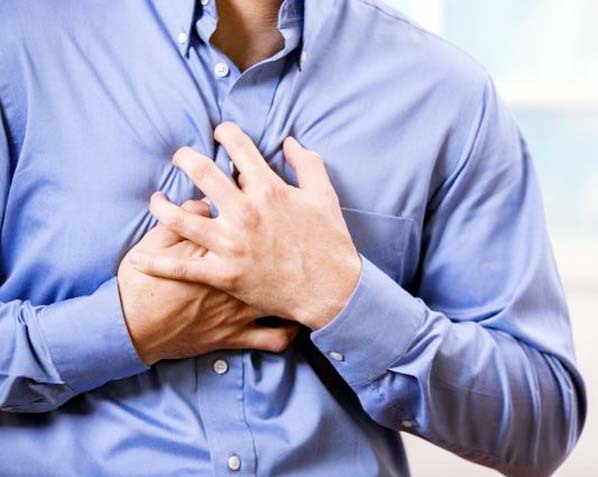 The findings of the study validate previous research findings that there may be a direct link between mental distress and increased risk of heart attack and stroke. Possible limitations of the study include the fact that psychological distress itself may be contributory to other risk factors of heart disease such as smoking and improper diet resulting in underestimation of the effect that psychological stress may have on heart attack or stroke. Although it has been long believed that mental health issues can lead to heart disease, previous studies have shown mixed findings and the associations still remain unclear. The study team feels that more research is required to identify the mechanisms by which mental health issues might influence the occurrence of heart disease and stroke. According to Caroline Jackson, Ph.D., the study's senior author and a Chancellor's Fellow at the University of Edinburgh, "We encourage more proactive screening for symptoms of psychological distress. Clinicians should actively screen for cardiovascular risk factors in people with mental health symptoms."